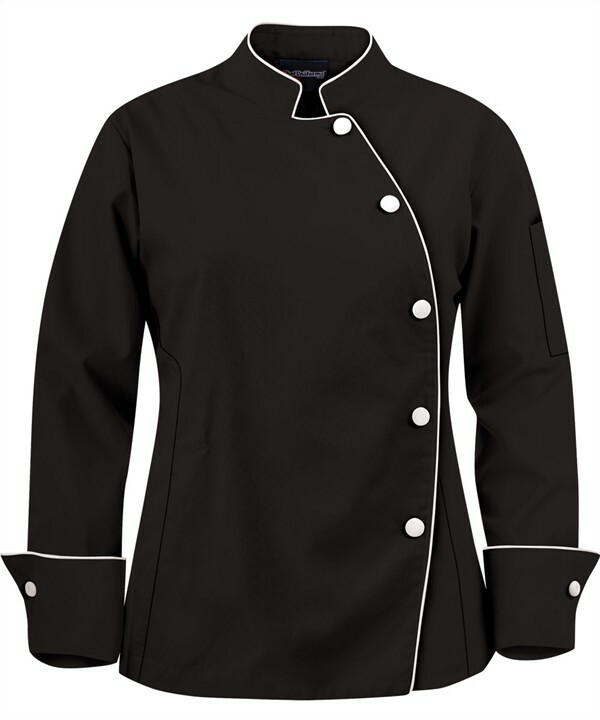 Looking sharp in the kitchen has never been easier with this women's asymmetrical chef coat. This stylish long sleeve coat has a tailored cut and four piece executive back for fit. The back vent allows you to stay dry and comfortable all day long. Store your essentials in the side seam pockets and thermometer pocket. Quality made fabric covered buttons. Premium 65/35 poly/cotton fine line twill fabric. Available in White w/ Black piping and Black w/ White piping.